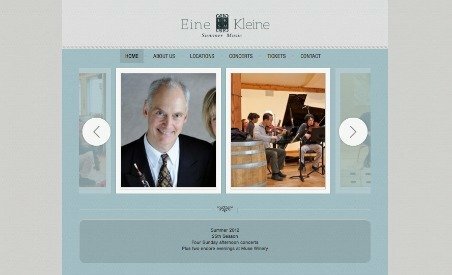 Eine Kleine Summer Music is a popular and long-running chamber music series in Victoria, BC. For many years, Eine Kleine has delighted concertgoers with the magic of great music in a charming rural setting among the farms, trees and parks of the Saanich Peninsula. Concerts take place throughout the summer in the ideal acoustics of the First Unitarian Church and on the beautiful grounds of Muse Winery.